Let’s dive into the differences between traditional and modern intranets. The most significant different between the two is that amount of functionality, with modern intranets offering far greater and more wide ranging applications. 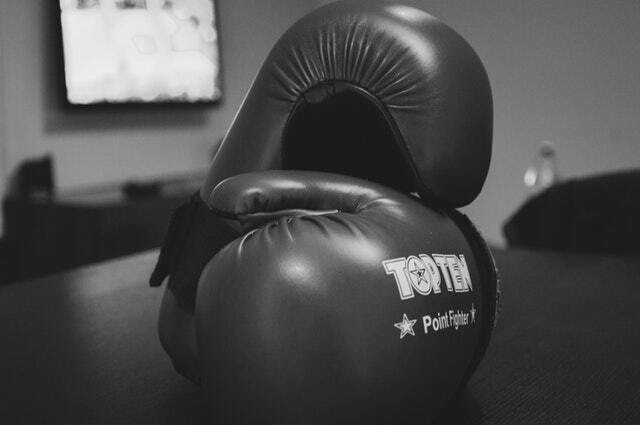 The traditional model of intranets, typically had upper management creating content and messaging to go out to the organization’s employees, with little to no interaction back on the part of the employees. 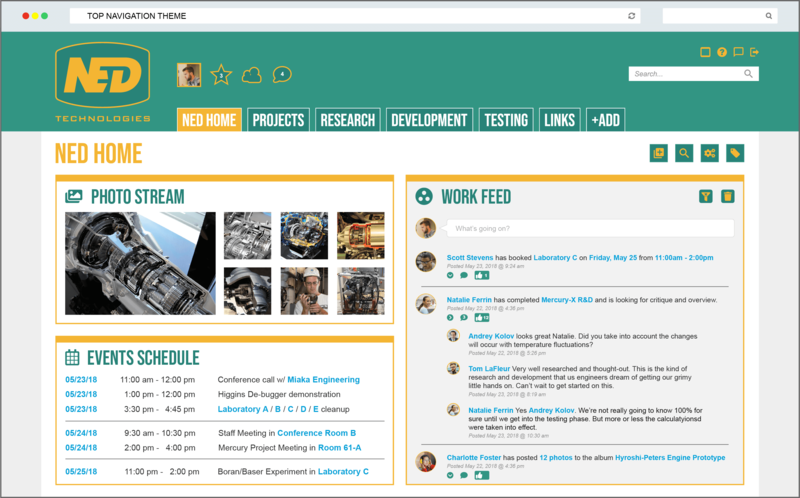 Previously, the intranet was thought of as a repository of static information and a place for top-down communication to take place. While, that may still be true today for some intranets, more modern intranets meet this requirement and then some. Intranet solutions today have shifted away from the one-way communication model, and more towards a social model by enabling users to create and share content. 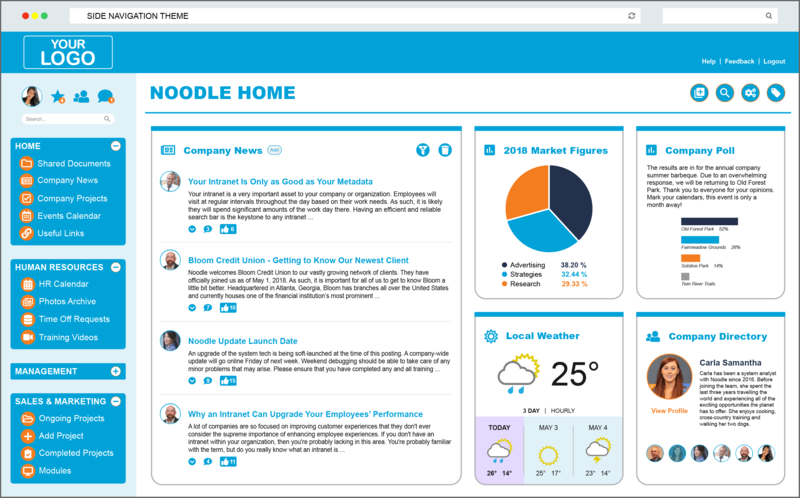 At Noodle, we have built our intranet platform to be flexible, and designed the interactions to be similar to what users would expect and be used to with social media and social networking applications. Traditional Intranets were commonly confined to the organizations’ local network, which meant that any employee trying to access the intranet remotely would have to use a VPN (virtual private network). Today, organizations can choose between a cloud intranet option or a local install (on-premise) intranet and enable remote access to the site. 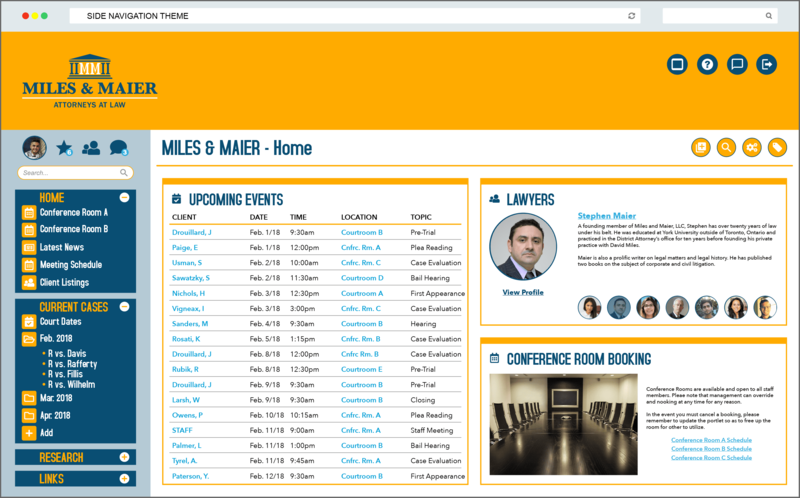 While, intranets were thought of as a centralized location for the company’s knowledge base, there was little in the way of connecting messaging and other applications. With these sites the employees would still be using separate email and instant messaging applications. 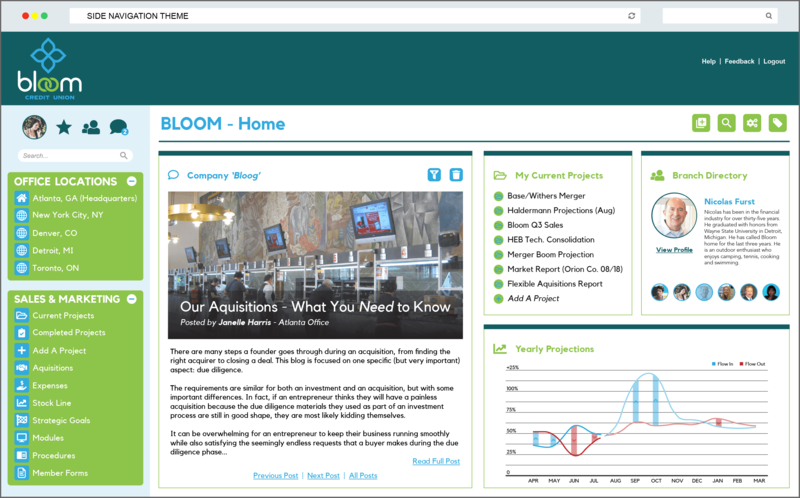 The modern intranet contains a multitude of applications itself, and while it can be complimented with and connected to third party applications, it can also act as a stand alone solution, creating a one stop shop for employees. 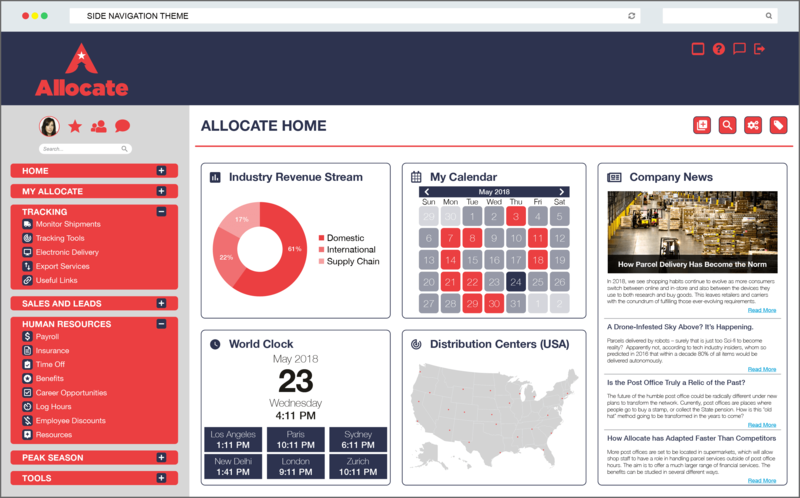 Aside from messaging and communication capabilities, modern intranets include a number of other useful productivity applications, such as the ability to automate processes, track employee engagement, and collect and store data. With Noodle, you can achieve these three functions with workflows, analytics, and database forms respectively. 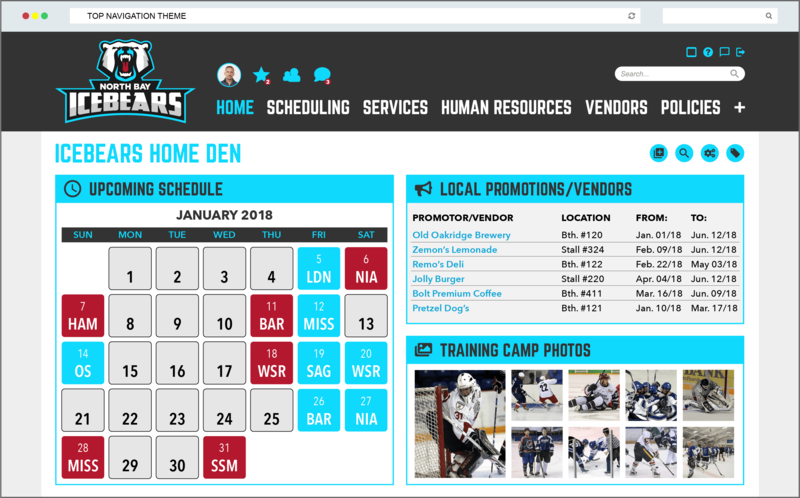 While this only scratches the surface, if you haven’t updated your intranet in some time, you may be missing out on some very useful productivity features. For a more comprehensive idea on what other features and benefits modern intranets have, you can find out more in our article What Is An Intranet And Why Do You Need It?